One of Australia's leading defence agencies, BAE Systems Australia, has partnered with the federal government and Kongsberg Defence & Aerospace AS to provide integration solutions for the Joint Strike Missile (JSM). The contract will enable Norwegian company Kongsberg, which is developing the JSM, to continue the integration and qualification of BAE Systems' passive radio frequency (RF) sensor into the system. The JSM can be carried externally and internally in the bomb bay of the Joint Strike Fighter F-35 aircraft. BAE Systems Australia will provide a low-cost, light weight and highly sensitive electronic support measure (ESM) receiver for incorporation on JSM which will feature an additional land attack and littoral attack capability as well as a two-way communications line for target adjustment and inflight termination. BAE Systems Australia chief executive, Glynn Phillips, said: "This is a great example of niche technology being developed through government and industry collaboration that has the potential to provide long-term sustainable exports for Australia. "There is no doubt about Australia’s ability to compete on the world stage delivering leading-edge technology to the world." In its work with Kongsberg, BAE Systems Australia has delivered a pre-production passive RF sensor for the JSM program, which was used to perform fit checks, system integration and support flight-testing in a development-standard missile. The combination of this RF sensor with Kongsberg's existing seeker provides a significant enhancement in operational capability. In support of the contract, BAE Systems Australia will supply its new passive RF sensors to Kongsberg for use in its qualification activities. This technology was developed with the support of the Australian government’s Priority Industry Capability Innovation Program (PICIP). Under the Defence funded program, BAE Systems Australia received a grant in 2013 to help commercialise this innovative technology. As many as 3,000 JSFs could be produced and Australia is set to acquire 72 of them in the next decade. The new partnership will position BAE Systems Australia to sell its missile guidance technology globally, further enhancing the company's Australian market. BAE Systems Australia’s involvement in the F-35 Joint Strike Fighter project, the world’s biggest defence aerospace program, is wide ranging. 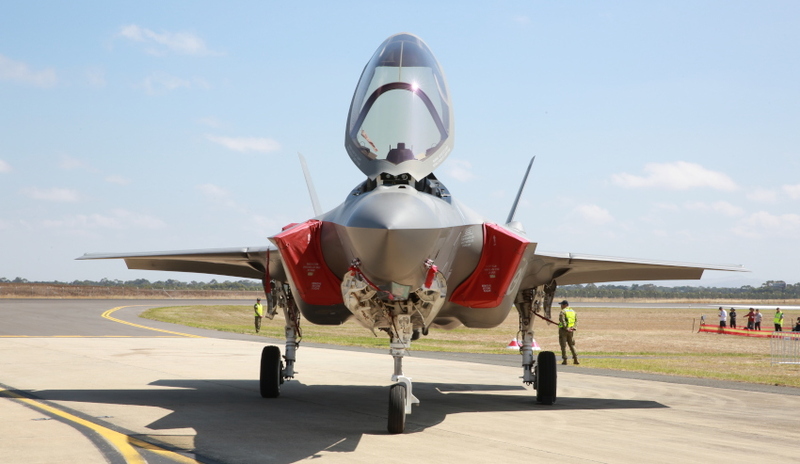 BAE Systems' Williamtown facilities will be a key regional and global hub for a range of F-35 sustainment services. At Edinburgh Parks in South Australia, the company manufactures titanium components for the F-35 vertical tail.